Pearl Harbor, December 7th, 1941, changed everything. The petty squabbling about isolationism were gone after that terrible morning. The whole nation knew they were in the fight, but perhaps not really sure how they fit into the machinery that was a nation at war. Never before had the nation been so held together, and never before had there been a means of communication the could get the message to the entire population as well or as effectively as radio. There were many critics who observed that the medium pitched their message to "the lowest common denominator," that the air waves were being used for commercial gain rather than the public good. Sixty nine days after the Attack a unique experiment began over the four major radio networks- the concurrent, non-commercial broadcast of This is War, a thirteen part series that brought together the best talent and resources of the broadcast and entertainment industry. 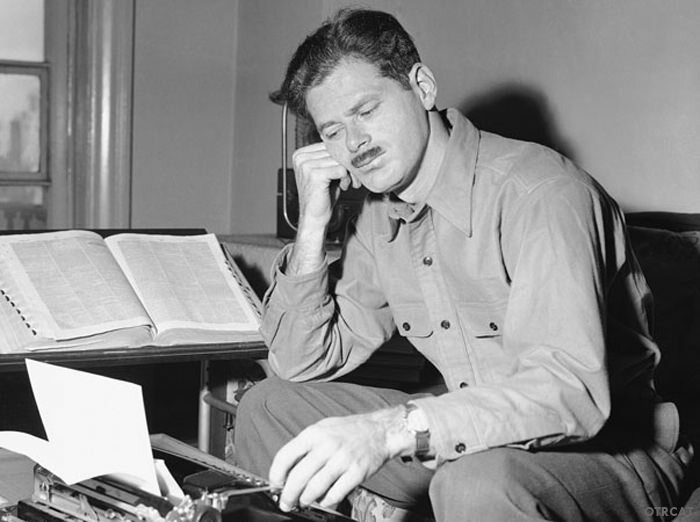 Norman Corwin was one of the greatest creative forces in radio. 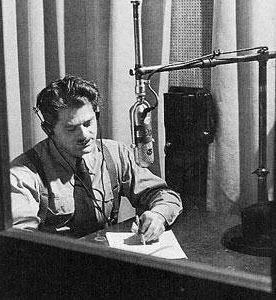 One of the most patriotic broadcasts of all time, Corwin's We Hold These Truths, was intended as a celebration of the Bill of Rights, became one of the most listened to broadcasts to date. 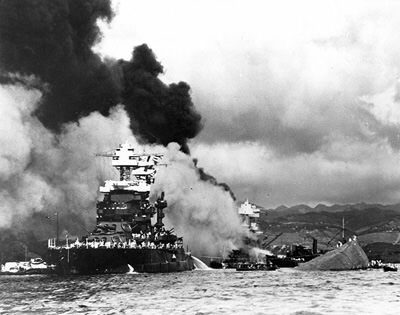 It was not intended in response to Pearl Harbor, in fact Corwin believed it would be cancelled because of the attack. Corwin got the call to direct This is War. Corwin himself wrote nine of the thirteen scripts for This is War. The concept was to present thirteen segments of society involved in the war. Major Hollywood talent was called on to act in the programs, and the episodes about the different Services featured stars who had been commisioned into the services: Lt, James Stewart of the Air Forces, Lt. Douglas Fairbanks Jr of the Navy, and Lt Robert Montgomery of the Army (Tyrone Powers, who appeared in the Army program, was a 1st Lt in the Marine Corps). The program was recorded using one of the most sophisticated sound effects suites in existence. This is War is an audio spectacle on the scale of a Hollywood epic. Comparisons with works such as Ben Hur, Cleopatra, or The Ten Commandments would not be out of place. Be the first to comment on "This is War (Norman Corwin)"